Chirstmas Peace is a Block of the Month Quilt. 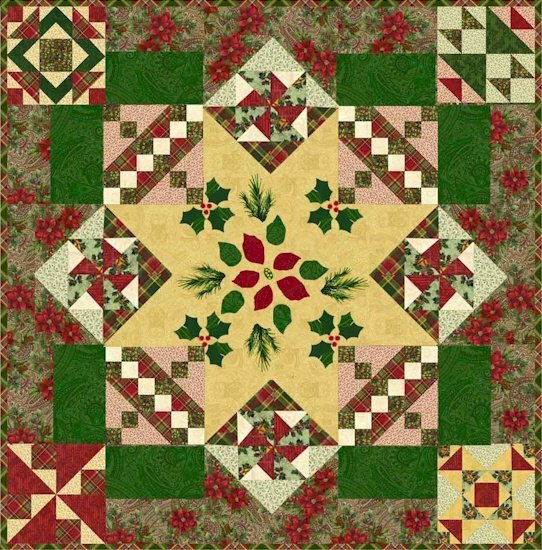 This 6 month program includes the pattern, all the fabric and the finishing button set to make this 65" X65 " quilt. Backing is sold separately. This is for the entire kit without backing.